What’s in a Ticket price? Every year, as ticket season comes round, we face a lot of questions. “Why are tickets so expensive?”, “Why can’t you have services gifted?” and “Most of the event is staffed by volunteers – it should be FREE!” are just a few examples. The simple truth? What it costs us to make the event happen is what it ends up costing you – and in some cases, costs have been deferred and carried by our organisation, to pass as little sting over to you, our community. As we’re all in this together, we’re providing you with the info below info so that you can understand some of the various factors that come to bear on ticket prices. If there’s anything below that doesn’t answer your questions, feel free to mail our team on [email protected] and we’ll assist you. The following is a brief (it really is) list of some of the costs our organisation incurs when staging each year’s event. Recent changes to South African government event law mean that more than ever, we’re required to have a wide range of health & safety equipment and accredited services that are unavoidable with an event the size that AfrikaBurn is. And of course, none of these come cheap – and none of them can be voluntary: they must be contracted and certified. More than that, it’s good to remember that when an event only attracts a couple thousand people (as Tankwa Town did in its early days), health & safety requirements cost relatively little – now that we’re firmly on the map and have a very large number of people in one place for a week (or longer), the reality and the responsibility of making sure all of you get home in one piece becomes significant. Tied to health & safety matters is the equally important one of event certification. As our event has grown, so the ratio of essential services to participants has had to expand, in line with the requirements of our event license. This all adds up to more of everything – all of which is designed to make sure that we all enjoy ourselves and get home in one piece. A logical (and annual) question is “Why can’t you just get volunteers, or have free services supplied?” It doesn’t work that way for essential services – these need to be accredited, and more importantly contracted, months ahead of our event dates for event license approval. When an event grows to the size of ours, some costs can’t be avoided, and certain essential equipment and services can’t be borrowed, or provided on a volunteer basis. There’ll be around 13 000 participants and a couple hundred of essential crew in Tankwa Town in 2019. This means the practical requirements for managing these numbers have grown, including additional outlay for roads, signage, toilets, event infrastructure and many other things that make our experience better. Preparing and cleaning up Tankwa Town for larger numbers also means more teams on the ground, for longer – and this includes event crew, security, medics, DPW and others – all of whom need to be fed, housed and transported. A seven day event means more fun and a longer experience of the magic out there but it also means increased costs. More of everything is required, including staff on site such as crew, medics, security, insurance and a range of others services. This all affects your ticket price, regardless of whether you attend for the whole event or just a couple of days. AfrikaBurn isn’t just a party or even an event – we’re a social movement, engaging with our community to re-invent the world anew, and we’re partnering up with other nonprofits to do so. This takes time and dedicated people who need to pay their way through life, which means we need salaried staff. In the past most people generously donated their time by working for free – some incredible volunteers for as long as 5 years. They can’t do that anymore, as the workload is too great. In addition to the operational costs of running the AfrikaBurn event in the Tankwa Karoo, we’ve also rented a workshop space that enables our DPW, DMV, and Outreach teams to work year-round on projects for our Tankwa event and community based projects. In 2013 we explained that ticket prices had to be raised due to a range of unavoidable costs – but we made a commitment to keep ticket prices as steady as possible for as long possible. We’ve stuck to that, and have only made a significant price increase in the 2017 event cycle – but if the General Sale ticket price is simply way too much, don’t lose hope – remember that there are other ticket categories available, which you can submit an application for. Interested in our financials, or how we’re run? 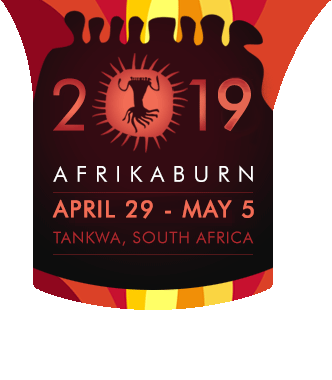 As a registered Not-For-Profit Organisation, AfrikaBurn charges only what it costs to run the event, and the organisation. As a NPO, there’s no profit – and nobody (including any of the Directors, Members or our Ops team) takes any profit share whatsoever. If you’d like to take a look at our accounts, we invite you to do so by checking our financials. We’ve had 7 unqualified audits to date, and we’re happy to share info on how we structure our team and organisation – if you’d like to find out more, check out our Governance & Transparency page. Home What’s in a Ticket price?